Kick off your visit on the 13th (Wed): see the interesting displays at Cable Car Museum and then explore the striking landscape of Alcatraz Island. On the next day, hunt for treasures at Ferry Plaza Farmers Market, browse the different shops at Ferry Building Marketplace, then shop like a local with Union Square, and finally admire the masterpieces at Asian Art Museum. For photos, maps, traveler tips, and other tourist information, you can read our San Francisco journey maker site . San Antonio to San Francisco is an approximately 6-hour combination of flight and subway. You can also fly; or drive. The time zone difference when traveling from San Antonio to San Francisco is minus 2 hours. While traveling from San Antonio, expect slightly colder days and about the same nights in San Francisco, ranging from highs of 62°F to lows of 48°F. Finish your sightseeing early on the 14th (Thu) so you can drive to Carmel. Carmel-by-the-Sea, often simply called Carmel, is a city in Monterey County, California, United States, founded in 1902 and incorporated on October 31, 1916. 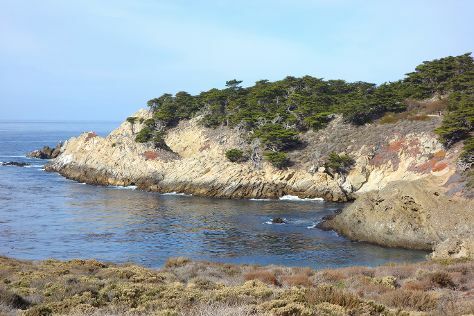 Kick off your visit on the 15th (Fri): stroll through Carmel River State Beach, then kick back and relax at Point Lobos, and then stop by The Cheese Shop. On your second day here, enjoy the sand and surf at Asilomar State Beach, take in the exciting artwork at Steven Whyte's Sculpture Studio and Gallery, then view the masterpieces at Carmel Art Association, and finally stroll through Pfeiffer State Beach. To see reviews, maps, photos, and other tourist information, use the Carmel online driving holiday planner . Drive from San Francisco to Carmel in 2.5 hours. Alternatively, you can do a combination of flight and bus; or take a bus. In February in Carmel, expect temperatures between 63°F during the day and 45°F at night. Wrap up your sightseeing on the 16th (Sat) to allow time to travel to Los Angeles. 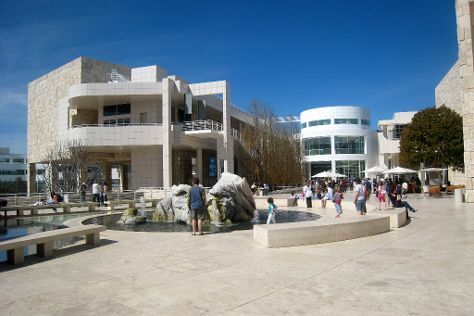 Start off your visit on the 17th (Sun): admire the masterpieces at Los Angeles County Museum of Art, then browse the different shops at The Grove, and then examine the collection at The Getty Center. To see where to stay, other places to visit, maps, and other tourist information, go to the Los Angeles trip itinerary website . You can do a combination of bus and flight from Carmel to Los Angeles in 4.5 hours. Other options are to drive; or do a combination of bus, shuttle, and flight. Traveling from Carmel in February, expect Los Angeles to be somewhat warmer, temps between 71°F and 51°F. Finish your sightseeing early on the 17th (Sun) so you can travel back home.